Today I decided to dish up a palette of grey and yellow. You know those days when one minute there is sunshine and the next moment grey skies, but it’s such a good combination that I worked on a few patterns to brighten the afternoon – a couple of loose sketched flowers teamed with a tailored silver grey. A balance that is smart but soft and feminine. But I am not the only lover of grey and yellow, there is a hefty dose of fantastic “yellow sunshine” and “grey skies” out and about at the minute. A few of my favourites are below. I adore the paper rosettes and think I’ll print out a couple of the yellow flower and chevron patterns and start paper folding! Hung across my window they will look great when the clouds roll back in. This print below from Breeding Fancy made me smile. Because I am an optimist that is what I decided to call my silver grey design. Thinking it would look great as wallpaper on the long wall in our living room, teamed with some upcycled yellow painted picture frames. What do you think of yellow and grey? Is it a natural couple made in heaven or are you left sucking lemons when you see the two colours? I love it! It’s so great to be following on from you and thank you for your kind words. Your designs are stunning. Thanks Lauren, having so much fun with the Passion 4 Print Bloghop! I love how you use your blog Michelle, like a lookbook / moodboard – not just showing the final results but the starting inspiration too…its great! and thank you for the lovely words on my scarf…would love to see it made up one day! great idea… a reunion bloghop… me too I love your blog and designs, specially Splish Splash, super!! Lovely work, the color combination of grey and yellow is exactly as the weather in the Netherlands where I live. I love also that you posted your inspiration! Great work… my favorite the splish splash whales! I wish you lots of success in your surface pattern design career! Love seeing your inspiration! Also, if splish splash is the whale pattern – I love it!! That’s a very inspiring blog, Michelle! Love it, as well as your designs. Great colour combo, so soothing … definitely my cup of tea! Great amazing fun post, Michelle. Adored it. You made a great approach to the yellow grey combo. With those subtle and feminine tones the combo is astonishing. 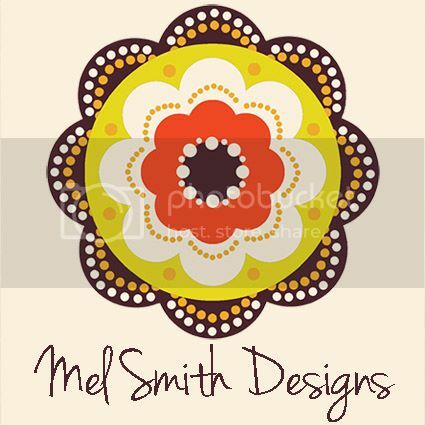 And I simply love the flowers and the geometric free patterns you created. Thank you for sharing those beauties. Hi Michelle, I personally *love* yellow & grey and WOW what a lovely design you’ve created to show off it’s fabulousness! I love the wallpaper too, very subtle. Nice blog/website as well. Clearly you’re blasting off to a great start. Cheers & happy designing! Haha Leslie, I like the idea of blasting off!!!! Thank you! Michelle, i soooo want that wallpaper! This collection is right up my street…I am a BIG fan of Yellow and grey and I love how you have shared with us your inspiration boards for the designs. Your room setup is great and I love the hand drawn flowers layered on top. Simply Stunning. Thankyou so much for sharing! Claire Thanks so much for organizing the Passion 4 Print Blog hop….great way to celebrate the end of class!!! En’t this a cute tangle! I love it! Lovely presentations too! and wow, what’s that ‘am seeing under here … referring to A bunch of floral hues … O so gorgeous, heading to see it! wonderful grey/yellow collection and palette! I really love the two colors together. You are right: together they are soft, delicate, and so so feminine and romantic too. Your designs are wonderful. I really like your style! Thank you so much Majo!!! I love your designs and I love the yellow and grey combination!! I think the grey and yellow palette is very sophisticated..love it! Your blog and designs are lovely too! I love your designs, Michelle! Your blog is great, the presentaions are so beautifully made. And the grey and yellow collection is awesome! Thanks amanda. I look forward to seeing more of your posts too!